Difference between revisions of "Christchurch"
'Neighbours Forums connect people online to real world local community life. To assist post-earthquake community recovery, a volunteer-led network of forums covering Christchurch is being established. Details below. We all use real names to build neighbourly trust and promote useful, civil exchange. In addition to the [http://forums.e-democracy.org/groups/canterburyissues Canterbury Issues Forum], E-Democracy.org volunteers host over 35 "[http://e-democracy.org/if Issues Forums]" at the city and neighbourhood level across three countries - the UK, the US, and New Zealand. Participate via e-mail or the web. Facebook Page and Twitter options will be turned on when a forum opens with 50 founding members. [http://pages.e-democracy.org/Starting_a_neighbors_forum Neighbour Forums] are the most local version of our public forums. The largest, with over 500 members each, engage over 15% of households in their area daily. Unlike most Facebook Pages, our multi-channel technology approach breaks through with everyday people by creating a vibrant neighbour-power exchange. * More [[Christchurch local online communities]] - Local "placeblogs," e-lists, forums, Facebook pages and other '''two-way''' discussions in the community. Join the forum that is closest to where you live ([http://forums.e-democracy.org/groups/canterburyissues/messages/image/423-2011-02-28T181154Z rough map]). Based on demand we will open more and consolidate others. [http://pages.e-democracy.org/Starting_a_neighbors_forum Neighbour Forums] are the most local version of our public forum most and some attract over 15% of households where they are most established with hundreds of members each. Unlike a most Facebook Pages and web forums, our multi-channel approach to technology breaks through with everyday people to create a vibrant and very popular neighbour-power exchange a very local level. When it comes to effective outreach, we have special experience with [http://e-democracy.org/inclusion inclusion efforts] (we support [http://e-democracy.org/print paper sign-up forms] for example) focused on lower income, highly diverse populations. We broadly share our 17+ years of non-profit online community building lessons via [http://blog.e-democracy.org our blog], [http://e-democracy.org/guide guides], and behind the scenes global volunteer support networks. We have special experience with [http://e-democracy.org/inclusion inclusion efforts] (we support [http://e-democracy.org/print paper sign-up forms] for example) focused on lower income, highly diverse populations and broadly share our 17+ years of non-profit online community building lessons via [http://blog.e-democracy.org our blog] and [http://e-democracy.org/guide guidebooks]. To volunteer with this effort, join our [http://forums.e-democracy.org/groups/chch-team ChCh-Team online working group]. Our forums are hosted using the open source [http://groupserver.org GroupServer] platform from Christchurch-based [http://onlinegroups.net OnlineGroups.Net]. Opening forums "for" a community, even with local volunteers, is an exception to our normal practices due to the urgency of the matter and opportunity to contribute value in a timely manner. Forums that open (with 50 people) will need a local volunteer to assume the forum manager role within one year. Opening forums "for" neighbourhoods, even with local regional volunteers, is a break from our normal one forum at a time approach. The urgency involved and opportunity to contribute value in a timely manner is prompting this intensive effort. We don't know which forums will gain traction, but with your help we can create a vital exchange that helps people go beyond consuming the one-way flood of information from official sources. Forums that open (with 50 people or fewer instead of our usual 100) will need to fill the local volunteer forum manager role within one year. 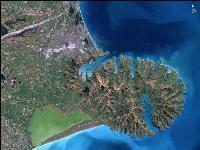 Team e-mail: [mailto:chch@e-democracy.org chch@e-democracy.org] or use our [http://e-democracy.org/contact contact form]. In addition to the Canterbury Issues Forum, E-Democracy.org volunteers host over 35 "Issues Forums" at the city and neighbourhood level across three countries - the UK, the US, and New Zealand. Neighbour Forums are the most local version of our public forums. The largest, with over 500 members each, engage over 15% of households in their area daily. Unlike most Facebook Pages, our multi-channel technology approach breaks through with everyday people by creating a vibrant neighbour-power exchange. When it comes to effective outreach, we have special experience with inclusion efforts (we support paper sign-up forms for example) focused on lower income, highly diverse populations. We broadly share our 17+ years of non-profit online community building lessons via our blog, guides, and behind the scenes global volunteer support networks. To volunteer with this effort, join our ChCh-Team online working group. Our forums are hosted using the open source GroupServer platform from Christchurch-based OnlineGroups.Net. Team e-mail: chch@e-democracy.org or use our contact form.